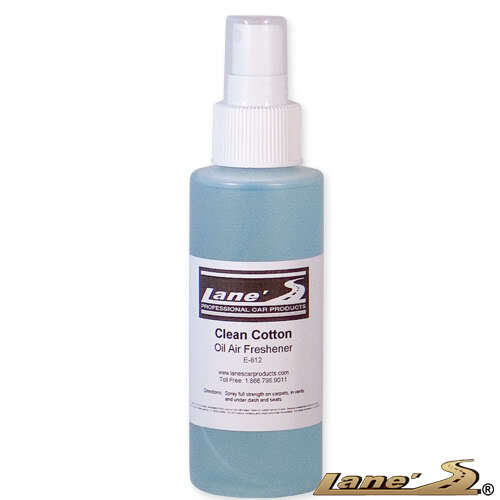 Lane's Car Products introduces a popular oil based Clean Cotton Scent - 4 ounces amongst auto detailers. Clean Cotton scent has proven to be the number one selling auto oil based scent. Our cotton oil based scent will provide you auto interior with a pleasant clean smelling fragrance guaranteed to out last other fragrances. If you want to obtain a long-lasting clean smell, our Clean Cotton Oil Based Scent is for you.